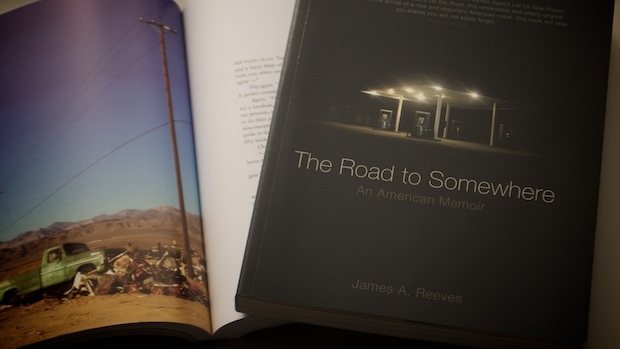 The Road to Somewhere: An American Memoir is the book by James A. Reeves (Writer, designer, educator, disc jockey, motorist). 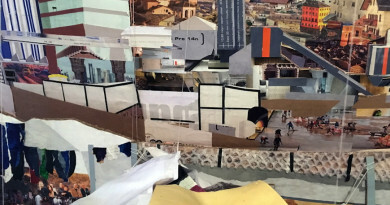 The back of the cover says, “A photo memoir of one man’s journey through America that is as sprawling and chaotic as the country itself.” Contains 55,000 miles and 416 colorful pages with a map and an index. Published by W. W. Norton. Order a signed copy here for $20. Also includes some stickers and a nice greeting card.